I assume majority of us Americans do not know what it feels like to experience a 7 to 9 earthquake /tsunami ( March 11, 2011, in Japan ) , an off -the charts typhoon ( as in 200 mile/hr super typhoon / 240 mile /hr. wind gust/ tsunami – like storm ocean surge, Nov.11, 2013 in the Philippines) and the second biggest volcanic eruption of the 20th century and the largest that occurred in a densely populated area (June 11, 1991 in the Philippines ) , tsunami that originated in Sumatra, and devastated 5 other countries ( Thailand, Sri Lanka, etc , in 2004 ) that caused the death of almost half a million people. I’m now remembering the 7th anniversary of Japan’s 3/11 earthquake and tsunami. I’ve been obsessing about this for 2 weeks now, watching all the videos , including the ones in the Philippines. I am in awe of the destructive forces of nature. The storm in New Orleans was Category 3 when in reached landfall…… the one in the Philippines was more than Category 5 , the highest category , and they said , it should have been Category 7 if there was such a category. Filipinos are used to typhoons. They will shrug off Category 3, and maybe Category 5 or more . After all, they get at least 2 dozen typhoons a year. What devastated the area was the unexpected tsunami -like storm surge which the country had never experienced before. The people were angry at the warnings because they weren’t told a tsunami would follow. The Philippine Weather Bureau did warn of a storm surge over and over , but the people countered they didn’t understand what a storm surge was. They should have used the term tsunami , instead of friggin’ storm surge. Well, I understand the logic. The contentious interchange would have been comical if it wasn’t so tragic. What made this event even more tragic was the fact a nearby Philippine island, Bohol, suffered a 8.0 earthquake a month before Haiyan typhoon. The Ring of Fire is a horse -shoe shaped area surrounding the Pacific Oceans….it’s a string of volcanoes, ocean trenches, tectonic plates and intense volcanic and seismic activities. a) It is home to 452 volcanoes….. 75% of the world’s active ones are located within this ring. Mt. 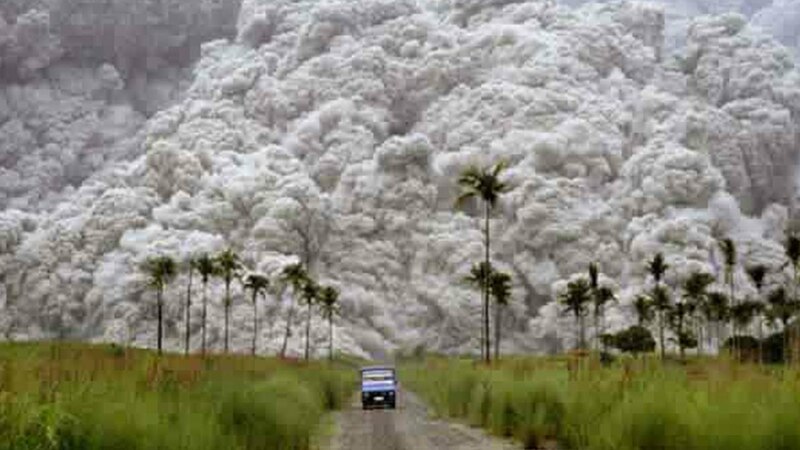 Pinatubo eruption, 1991, ( Philippines) second biggest in 20th century, and caused the lowering of world’s temperature by 1 F .
2) Roughly 90% of all the world’s earthquakes occur here. 3) It stretches about 25,000miles from new Zealand northwest to the Philippines, northeast to Japan, east to Alaska, south to Oregon, California ( San Andreas plate ) Mexico, and the Andes Mountains of South America. Here’s the thing….. Japan ‘s Tokyo has one of the most beautiful skyline in the world. 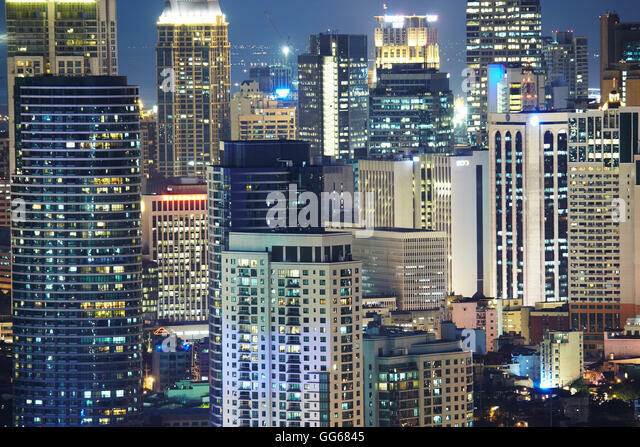 The city of Metro-Manila, Philippines , is currently #12 in the world’s most beautiful city skyline. I mean, how many cities are there in the world ? That means, beautiful skyscrapers, tall buildings, etc. I hope these 2 cities are fully prepared for the inevitable. It’s a scary thought. This is all for now. Bye and peace. Check out my manga/anime/video games blogsite @ https://2megaworthitwordpresscomblog.wordpress.com/ My new entry is Re: Mind, a Japanese live action, Netflix original. I couldn’t find the tsunami in Iwate Prefecture. That is the most intense, I think. It is so scary to watch on the news and seeing the devastation. Watching how people recover from it. I think the most incredible thing is how people will come together and help each other through a disaster. your mom was like, #thuglife. I dont think I would be ever able to handle typhoons. I can barely handle thunderstorms or rainstorms. nope. I’ve only experienced one earthquake of any significance. This was a 4.1 quake (or 4.3 quake, depending on where you read). Terra firma stands for “solid ground”. Few people realize just how not solid it is. For those who have not been in earthquakes, let me give you a description. Things you think are solid around you — the floor, walls — suddenly take on the characteristics of an inflatable playground. That is, they do not feel solid at all. I heard about that ! ! ! That’s why I’m so worried. I Hope it doesn’t occur at the Philippine tectonic plate on the ocean floor ( just like what happened in Japan ) …… I just watched a documentary about that event, and the narrator mentioned the Philippine tectonic plate so many times , like something similar may happen in the Philippiines in the near future. Uhm, cheesecake, where do you live ? Our house in the Philippines is on a hill, but we’re walking distance to Manila Bay. Ugh. We are actually living in Quezon City part of the NCR. It would be very devastating if the big one happen here because of the concentration of the people here in the city. Just imagine the buildings or condominiums, oh well. Quezon City. That’s quite far from any body of water. But if it’s an earthquake , well, I guess, everbody’s a sitting duck. I experienced a big typhoon when I was there. It was so scary. I don’t remember any typhoon as a kid living there, and here in California, we don’t have that kind of storm. My mother said it was a ” regular”, no biggie. The heck . It felt like the apocalypse. I actually find the typhoons recently not that ‘scary’. I remember as a kid like having your whole house almost be pulled off from the ground. Nowadays, the winds are not that heavy ALTHOUGH these are what killed many people like in the Yolanda and Ondoy. They are not strongest of storms but due to surges and flooding they made, they took a lot of lives with them. Ondoy typhoon sounds familiar. We were in the Philippines in July , 2010, and July , 2014. I was aware Japanese tsunami’s anniversary was coming up, so I read up on it and watched all the videos I could find on You Tube. I’ve always been in awe of the forces of nature,, and modern technology is just no match against nature’s forces. One of the few places that should be concerned with these disasters just waiting to happen is the Philippines. It’s a small country. There’s nowhere to go. I agree with you. I think we are getting there. With all the calamities happened with the recent past, and the casualties it had, I can say we are learning and we are scared, and some of us are doing something about it. Hopefully the majority will…or better yet, all of us. may matitigas pa rin kasi talaga ang ulo. I’ve never lived through a major earthquake, but my niece was born in the middle of the devastating Northridge, CA earthquake in 1994. Thankfully my sister and brother-in-law were already at Cedar Sinai, so they were safe. So many others were killed though. I remember watching on the news the disasters that hit Japan, the Philippines and of course Thailand. They were horrifying, and I can’t even imagine actually being there. The coastline of California is within the Ring of Fire. So, the question is always when, not if. It’s amazing that the Japanese and Filipinos take these disasters so calmly. When I was there on vacation, a huge storm was raging on at 7 AM, and there we were, enjoying our breakfast of fried bananas, eggs, hotdogs, and fried garlic rice. We just left New Orleans, as described in my latest blog, which is basically a giant bathtub of low lying swampland and I live in South Florida. No tidal waves like you experience however. Thank you for continuing to read my travel blog. You’re welcome. If I’m not mistaken, I’ve been following your travel blog for several years now. Cheers ! Quakes are impressive. Had a major one in Mexico city last year. And yet another, smaller one a few weeks ago. Fingers crossed. Mexico seems to be experiencing more earthquakes these past few years. I saw a video of Mexico’s earthquake last year. Nobody can prevent earthquakes, but I hope architects in Mexico should be able to build buildings that can withstand earthquakes. I saw a lot of destroyed buildings on the video. Japan and Philippine architects are experts on this, so I heard. An architect relative said they devoted at least 4 semesters studying how to build earthquake – proof structures. My job has an office in Manila and there was once murmurs of me going over to teach the staff some tasks. Hope it doesn’t happen because the weather sounds terrifying. I think my father experienced a hurricane in the Philippines which he was something he spoke about because here in the UK winds are normally on the gentle side so the kind of weather you talk about is seen only on the news. I am still full of thoughts about the people whose lives and homes were ruined in the recent storms, and how, so often, they are left to cope with the mess long after their caring government has gone off to deal with easier problems like sacking people!! I ‘ve seen Tacloban City on You Tube years after, and it does look so much better. The storms there are really scary, Peter Wells. But it seems the people are used to it, and are always prepared to confront these storms . When we were there, my aunt and mother were very calm, bought so much food dinners looked like a feast, lol, ( no electricity for one week ) and I think people there stock up on candles, lots and lots. But the sound of the storm was very terrifying. Of course the follow up sad part of the Japan tsunami was the Fukashima nuclear facility meltdown. I wonder what the results are for the current aftereffects. That’s something I want to forget. T.T The flora and fauna and wildlife in Fukushima have been affected…. in fact, there’s a video of one wild boar that is actually glowing eerily in the dark. The birds have also mutated.And the first responders when the facility exploded are all deceased now. This was a fascinating post. I would be so freaked out should the earth start quaking that I am not sure there would be enough meds to quiet me down afterwards. Volcanoes on the other hand–I would so enjoy seeing one erupting and have a science-minded person talk me through the process which is so powerful.